The post How To Fix MySQL Replication After an Incompatible DDL Command appeared first on Percona Database Performance Blog. The strange issue here is that if you point the slave back to the old master, replication works just fine. The error says that there are missing binary logs in the new master that the slave needs. 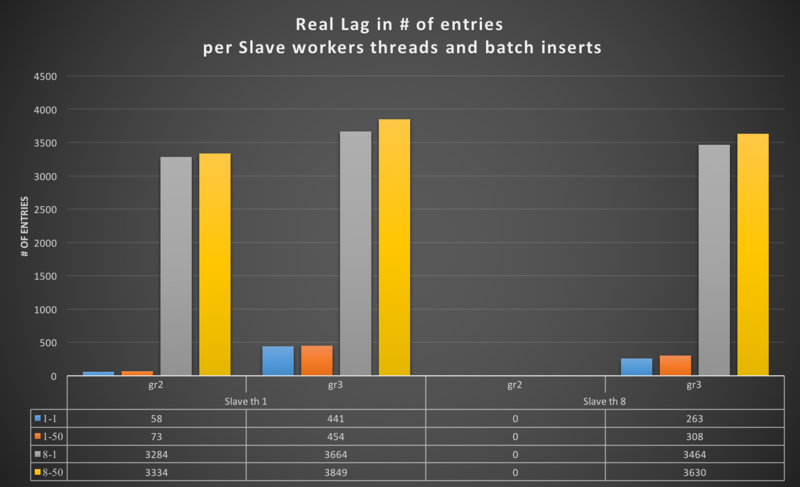 If there’s no problem with replication performance and the slave can easily catch up, then it looks like there are transactions executed in the new master that have not been executed in the old master but are recorded in the missing binary logs. The binary logs are most likely lost due to manually purging with PURGE BINARY LOGS or automatic purging if expire_logs_days is set. At this point, it would be prudent to check and sync old master and new master with tools such as pt-table-checksum and pt-table-sync. 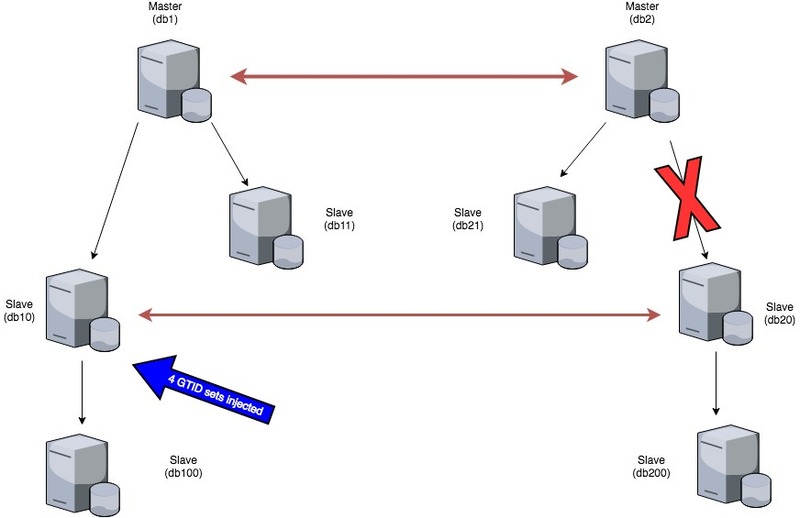 However, if a consistency check has been performed and no differences have been found, or there’s confidence that the new master is a good copy—such as another node in the PXC cluster—you can follow the steps below to resolve the problem. 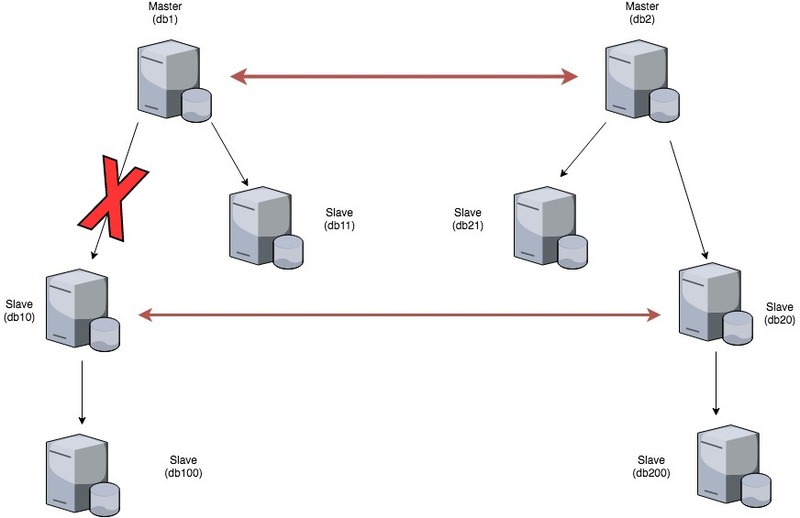 To solve the problem, the slave needs to execute the missing transactions. But since these transactions have been purged, the steps below provide the workaround. Take note that 1904cf31-912b-ee17-4906-7dae335b4bfc and 1904cf31-912b-ee17-4906-7dae335b4bfc are UUIDs and refer to the MySQL instance where the transaction originated from. This means that the slave has no issue with 1904cf31-912b-ee17-4906-7dae335b4bfc it requires sequences 4-6 and sequences 3-6 are still available in the master. However, the slave cannot fetch sequences 1-11 from 4998aaaa-6ed5-11e8-948c-0242ac120007 because these has been purged from the master. To summarize, the missing GTID sequences are 4998aaaa-6ed5-11e8-948c-0242ac120007:1-11. If the new master’s UUID does not match the missing GTID, it is most likely that this missing sequence came from its old master, another master higher up the chain or from another PXC node. If that other master still exists, you can run the same query on those masters to check. The missing sequences are small such as 1-11. Typically, commands executed locally are due to performing maintenance on this server directly. For example, creating users, fixing privileges or updating passwords. However, you have no guarantee that this is the reason, since the binary logs have already been purged. If you still want to point the slave to the new master, proceed to step 3 or step 4.
mysqlslavetrx --gtid-set=4998aaaa-6ed5-11e8-948c-0242ac120007:1-11 --slaves=root:password@:3306 you will achieve the same result as above. At this point, we have already solved the problem. However, there’s another way to restore the slave much faster but at the cost of erasing all the existing binary logs on the slave as mentioned in this article. If you want to do this, proceed to step 4. Step 4. Add the missing sequences to GTID_EXECUTED by modifying GTID_PURGED. If you followed the steps in Step 3, you do not need to perform Step 4! 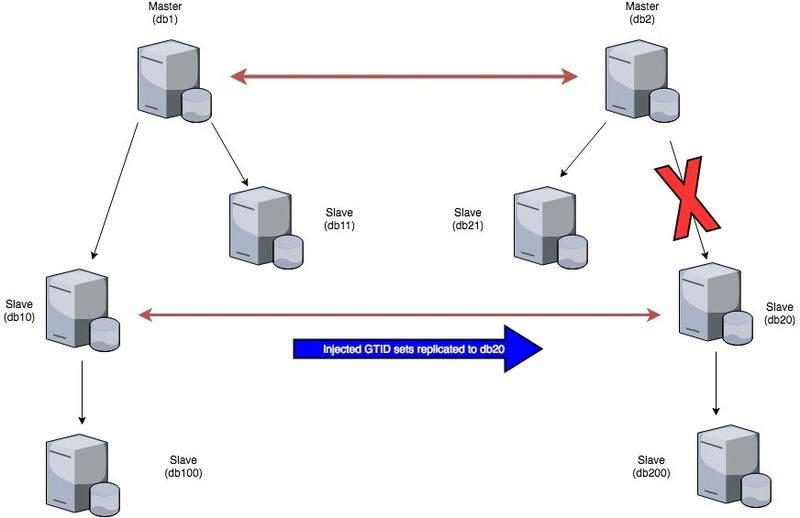 To add the missing transactions, you’ll need to stop the slave, reset the master, place the original value of gtid_executed and the missing sequences in gtid_purged variable. A word of caution on using this method: this will purge the existing binary logs of the slave. In this article, I demonstrated how to point the slave to a new master even if it’s missing some binary logs that need to be executed. Although, it is possible to do so with the workarounds shared above, it is prudent to check the consistency of the old and new master first before switching the slave to the new master. 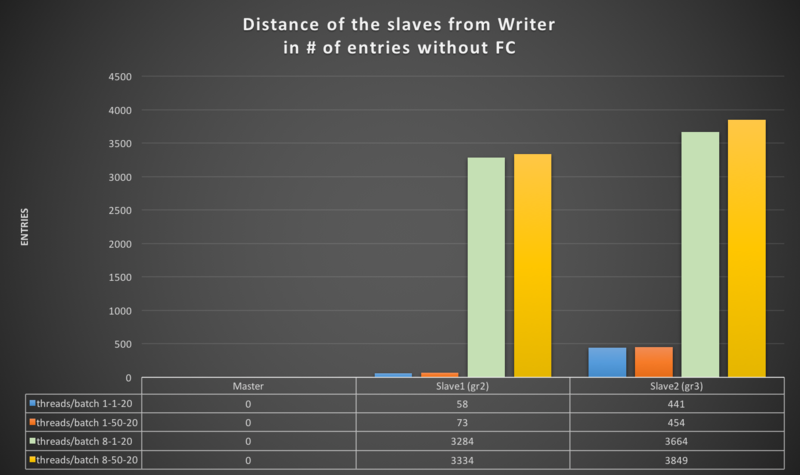 The post Fixing ER_MASTER_HAS_PURGED_REQUIRED_GTIDS when pointing a slave to a different master appeared first on Percona Database Performance Blog. I started looking into this setup when a statement broke replication between db1 and db10. Replication broke due to a statement executed on a schema that was not present on db10. This also resulted in changes originating from db1 to not being pushed down to db100 as db10, as we stopped the replication thread (for db1 channel). On the other hand, replication was not stopped on db2 because the schema in question was present on db2. Replication between db2 and db20 was broken as well because the schema was not present in db20. In order to fix db1->db10 replication, four GTID sets were injected in db10. After injecting the GTID sets, we started replication again and everything ran fine. After that, we had to check the db2->db20 replication, which, as I’ve already said, was broken as well. In this case, injecting only the first GTID trx into db20 instead of all of those causing issues on db10 was enough! You may wonder how this is possible. Right? The answer is that the rest of them were replicated from db10 to db20, although the channel was not the same. Another strange thing is the fact that although the replication thread for the db2->db20 channel was stopped (broken), checking the slave status on db20 showed that Executed_Gtid_Set was moving for all channels even though Retrieved_Gtid_Set for the broken one was stopped! So what was happening there? Let’s say we write a row from db1 to db123.table789. This row is replicated to db10 (let’s say using channel 1) and to db2 (let’s say using channel2). On channel 1, we filter out the db123.% tables, on channel2 we don’t. db1 writes the row and the entry to the binary log. 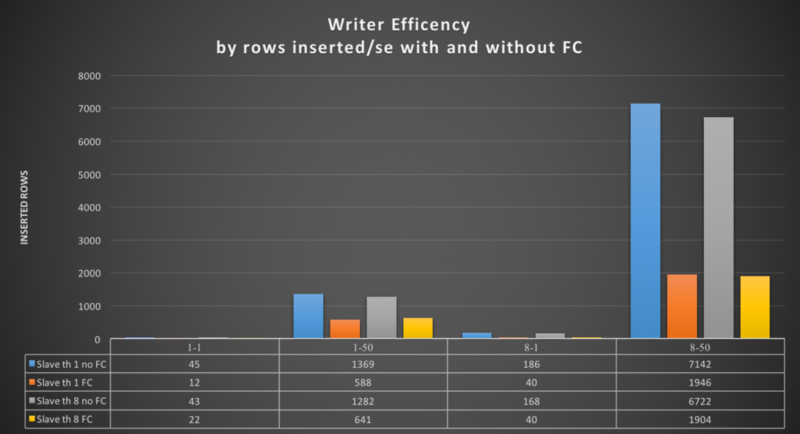 db2 writes the row after reading the entry from the binary log and subsequently writes the entry to its own binary log and replicates this change to db20. This change is also replicated to db10. So now, on db10 (depending on which channel finds the GTID first) it either gets filtered on channel1 and written to its own bin log at just start…commit with any actual DDL/DML removed, or if it is read first on channel2 (db1->db2 and then db20->db10) then it is NOT filtered out and executed instead. Is this correct? It definitely ISN’T! As we know GTID sets are unique across all nodes in a given cluster. In multi-source replication, Executed_Gtid_Set is common for all channels. This means that regardless the originating channel, when a GTID transaction is executed it is recorded in all channels’ Executed_Gtid_Set. 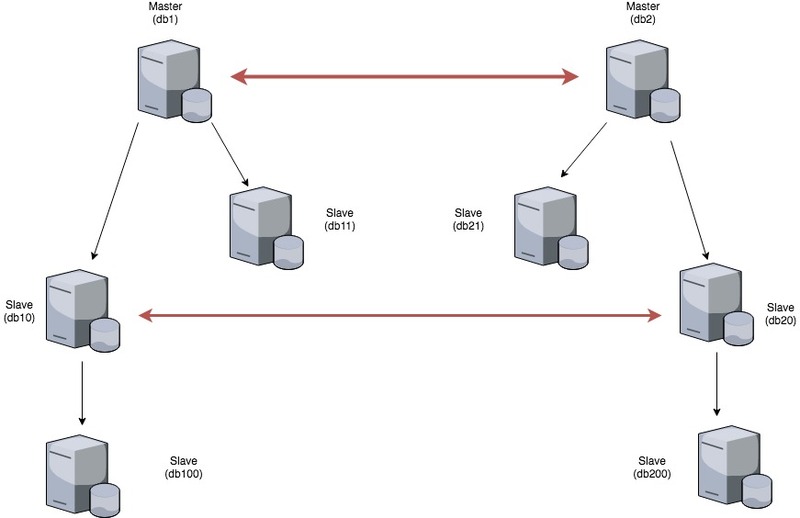 Although it’s logical (each database is unique, so if a trx is going to affect a database it shouldn’t be tightened to a single channel regardless of the channel it uses), the documentation doesn’t provide much info around this. When we have multi-source, multi-level replication, there are cases where the GTID sets originating from one master can end up on one slave via different replication paths. It’s not clear if it applies any special algorithm (although it doesn’t seem that there could be one), but the preferred method seems to be FIFO. The fastest wins! 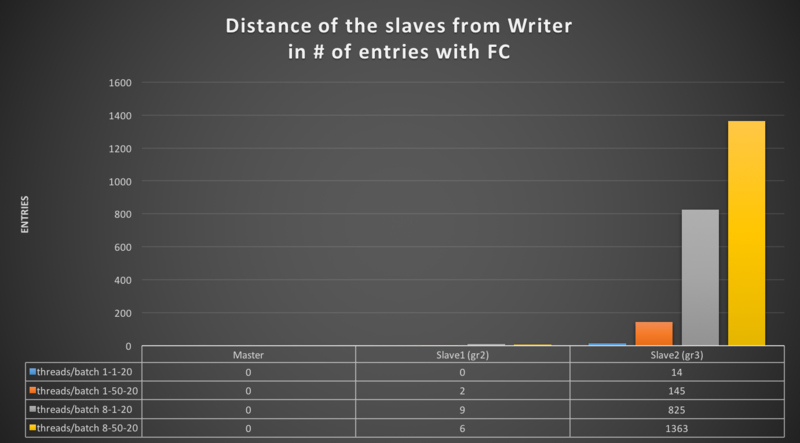 This means that GTID sets can travel to the slave via different channels, and it’s related to how fast the upper-level slaves can commit changes. In fact, the path doesn’t really matter as it only executes each GTID trx once. 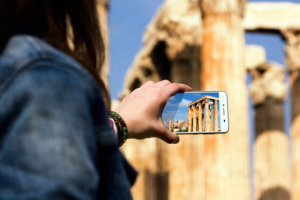 Replication filters are global regardless the channel. This means they apply each filter to all channels. This is normal as we can’t define a replication filter per channel. In order to be able to debug such cases, adding a small replication delay per channel seems a good idea. and you get a Lost connection to MySQL server during query error, and so on. 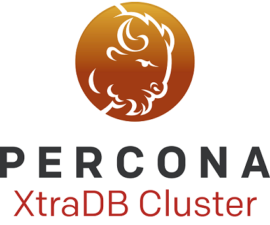 Recently a customer asked me to setup replication between two distinct Percona XtraDB Clusters located in geographically separate data centers. 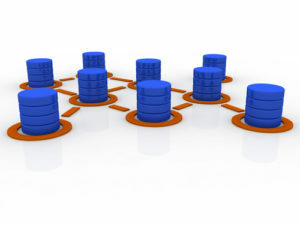 The customer goal was to use one of the clusters only in case of disaster recovery. 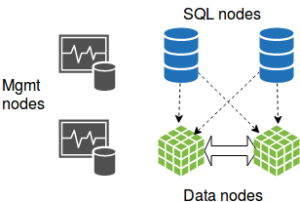 They tried extending the cluster, but because of the WAN latency impact on their writes and the requirements of a node in a third data center for quorum, they walked away from that setup. 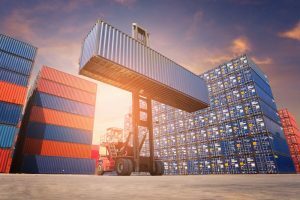 Since they were not concerned about losing a few transactions in case of a major disaster, they were OK with regular MySQL replication using GTIDs. Easy enough right! 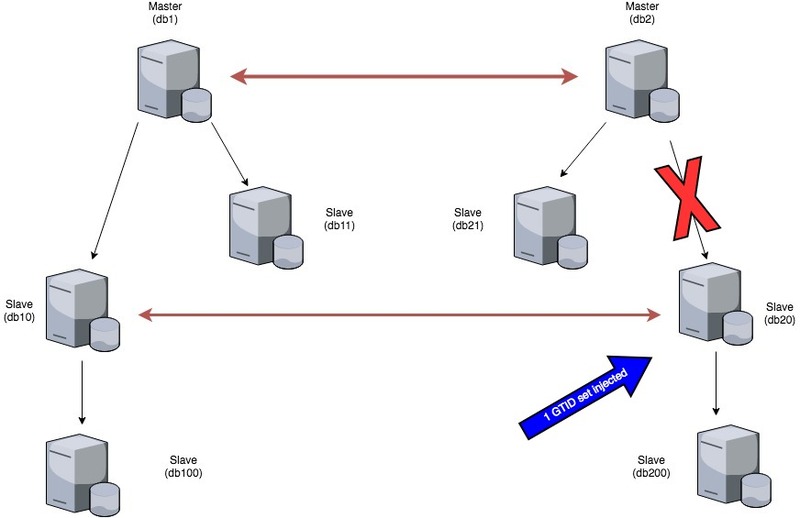 Both clusters are cloud-based, of course, and the provider can stop/restart any node on short notice. This setup caused some concern for the customer around how to handle replication. Since they don’t have dedicated personnel to monitor replication, or at least handle alerts, they asked if we could find a way to automate the process. So, here we go! We all try to solve the problems with the tools we know. In my case, I like Pacemaker a lot. So using Pacemaker was my first thought. In a cloud environment, a Pacemaker setup is not easy (wouldn’t that be a cluster in a cluster… a bit heavy). But wait! 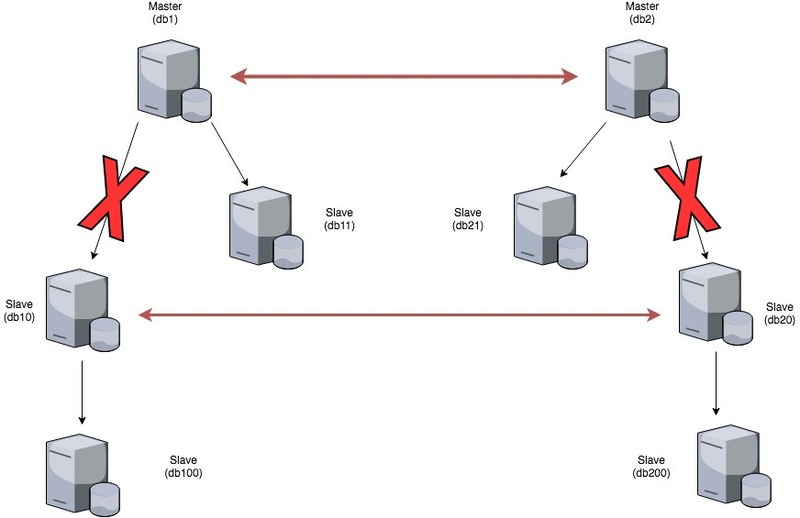 Percona XtraDB Cluster with Galera replication is already handling quorum, and it provides a means of exchanging information between the nodes. Why not use that? Of course, if it works for one cluster, it can work for two. I have configured my customer’s two Percona XtraDB Clusters in a master-to-master relationship using this script. I ran through a bunch of failure scenario cases. The script survived all of them! But of course, this is new. If you are going to implement this solution, run your own set of tests! If you find any problem, file an issue on GitHub. I’ll be happy to fix it! The error provides the right message, and explains what is going on. But sometimes, it can be a bit tricky to solve this issue: you need additional information discovered after some tests and readings. We try and keep Managed Services scripted, in the sense that our advice and best practices are repeatable and consistent. However, some additional features and practices can be added depending on the customer situation. Some time ago one of our customer’s database servers presented the above message. At that point, we could see the binary log files in a compressed form on master (gzipped). Of course, MySQL can’t identify a compressed file with a .gz extension as a binary log. We uncompressed the file, but replication presented the same problem – even after uncompressing the file and making sure the UUID of the current master and the TRX_ID were there. Obviously, I needed to go and investigate the problem to see what was going on. When the server starts, the global value of gtid_purged, which was called before as gtid_lost, is initialized to the set of GTIDs contained by the Previous_gtid_log_event of the oldest binary log. When a binary log is purged, gtid_purged is re-read from the binary log that has now become the oldest one. Will the slave get lost and not find all the needed GTIDs on the master after a reset slave/reset master? 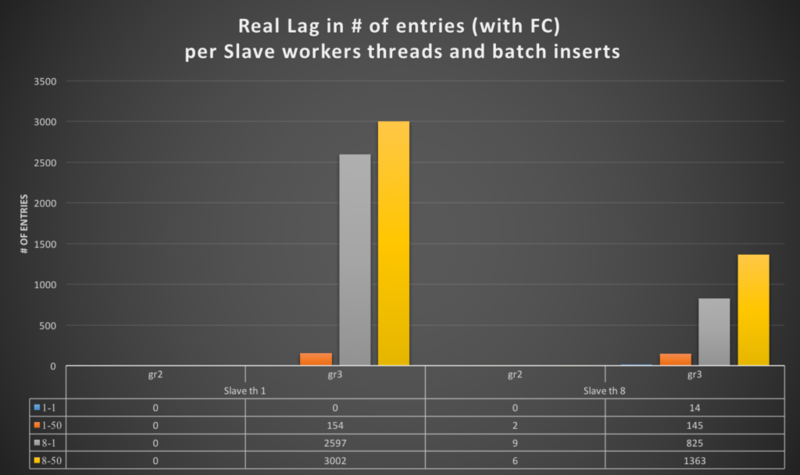 If I purge the logs correctly, using PURGE BINARY LOGS, will the slave be OK when restarting replication threads? I would like to test this very methodically. We’ll create one GTID per binary log, and then I will compress the oldest binary log file in order to make it unavailable for the slaves. I’m working with three virtual machines, one master and two slaves. On the second slave, I’m going to run the following sequence: stop slave, reset slave, reset master, start slave, and then, check the results. Let’s see what happens. [root@tool01 mysql]# ls -lh | grep mysqld-bin. Bingo! We broke the replication streaming on the slave. Now we know that the missing GTID on the master was due to the compressed file, and wasn’t able to be passed along to the connecting slave during their negotiation. Additionally, @@GTID_PURGED was not reloaded as per what the online manual said. The test done and we confirmed the theory (if you have additional comments, enter it at the end of the blog). Let’s make it as straightforward as possible. The purge can be done manually using the PURGE BINARY LOGS command to get it done a proper way as the binary log index file should be considered a part of this purge operation as well (it should be edited to remove the file name index entry together with the log file on disk). I’m going to execute the same as before, but include purging the file manually with the mentioned command. The above adjusts the GTID on @@GTID_PURGED to just request the existing GTIDs, using the oldest existing GTID minus one to make the slave start the replication from the oldest existing GTID. In our scenario above, the replica restarts replication from 4fbe2d57-5843-11e6-9268-0800274fb806:2, which lives on binary log file mysqld-bin.000002. Replication is fixed, as its threads can restart processing the data streaming coming from master. You will need to execute additional steps in checksum and sync for the set of transactions that were jumped when setting a new value for @@GTID_PURGED. If replication continues to break after restarting, I advise you rebuild the slave (possibly the subject of future blog). is set to purge binary logs. 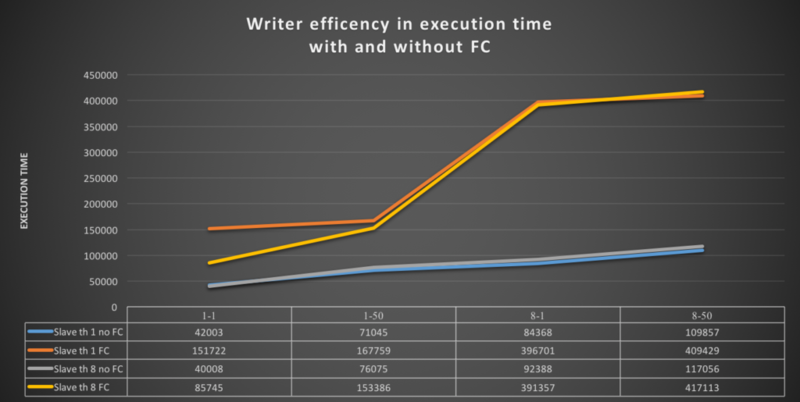 Yet you need to be careful when trusting this variable, because it doesn’t consider fraction of days, depending the number of writes on a database server, it can get disks full in minutes. This blog showed that even housekeeping scripts and the PURGER BINARY LOGS command were able to make it happen. , together with the above info, replication should resume. If you don’t have the Percona Toolkit package setup on your servers, make sure you follow these steps. It’s easier if you add the Percona Repository to your servers (you can use the Package Manager to install it for Debian-based and for RedHat-based systems).